Could any one tell me what breed/cross-breed my rabbit may be? My rabbit is a girl,and is roughly a year and four months old, weighing exactly 1.2kg. I have only had her four months and have no idea what her parents looked like, which is making it extremely challenging to work out her breed. When taking her to the vets for her yearly check-up even they didn't know, and therefore advised me to ask others who may be more knowledgeable in this area. 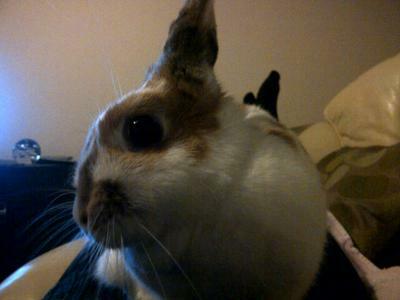 Comments for Could any one tell me what breed/cross-breed my rabbit may be? Thank you both! Really appreciate your comments.